Just a recap topic about Cryo Interactive Adventures's Games tested on the PSIO. Most works fine and 2 doesn't work at all for the moment. You just get a red screen (of death lol) when trying to boot them. That is a interesting debug screen, never saw anything like that PS1 related before. The only game from your list I have is Lourve (PAL) that I converted to NTSC, Another title, that was point and click was Necronomicon. Does that work by any chance? Thanks Yuri ! Please let me know when you have fixed it or if you need someone to test the fix. 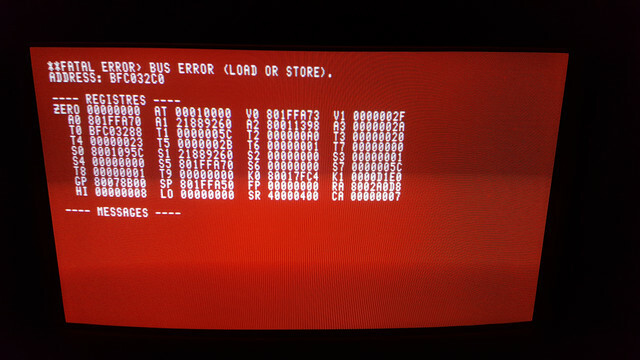 Sometimes i don't have too this red screen, try to boot it twice. But everytimes the game doesn't go further, not working at all for now.